With renewable energy development high on the global agenda. News from the recent GWEC report will come as welcome reading to many. The report which states that 20% of global electricity demand could come from wind power in less than 15 years. With the development of new turbines and efficiencies in the design and build process, the costs of wind development is coming down. Recent figures released compared favorably to similar scale developments within the Nuclear and tidal sectors. With the Paris climate deal acting as a catalyst, the report predicts a large increase in the wind generation capacity over the coming years. The wind power industry is growing fast. The (GWEC) released an historic report Tuesday in Beijing, saying 20 percent of the world’s total electricity could come from wind by as early as 2030. 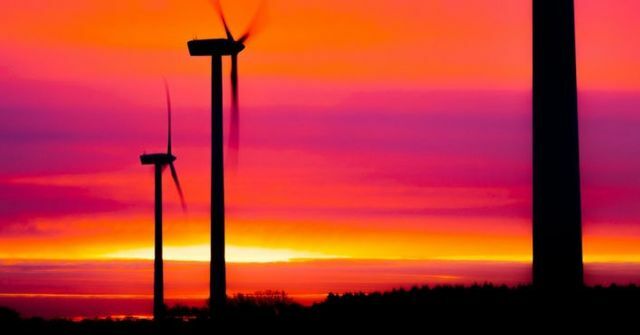 With last year’s Paris climate deal as a strong motivating factor, the group predicts the world’s total wind power capacity could grow by nearly five times over the next 14 years, reaching as much as 2,110 gigawatts (GW) by 2030. The GWEC report outlines that, although not cheap, the long-term benefits of wind power infrastructure will begin paying off immediately. The GWEC estimates an annual investment of $224 billion would be required globally in order to grow the wind power industry to its potential capacity. Meanwhile, 2,110GW of clean, renewable wind energy would reduce carbon dioxide emissions by 3.6 billion tons each year.